The Chronicle of Higher Education (online) recently reported results of a survey looking at faculty teaching on MOOC’s (massive open online course) and found much interest and expectation around this new format. The survey, conducted by The Chronicle, attempted to reach every professor who has taught a MOOC. The online questionnaire was sent to 184 professors in late February, and 103 of them responded. Hype around these new free online courses has grown louder and louder since a few professors at Stanford University drew hundreds of thousands of students to online computer-science courses in 2011. Since then MOOCs, which charge no tuition and are open to anybody with Internet access, have been touted by reformers as a way to transform higher education and expand college access. Many professors teaching MOOCs had a similarly positive outlook: Asked whether they believe MOOCs “are worth the hype,” 79 percent said yes. The survey of professors was not scientific, particularly because it was of those who are already teaching MOOC’s, but it paints a picture of enthusiasm among those — many who were initially reticent about the potential of online education at that scale – engaged with the medium. NY Times columnist Thomas Friedman, never one to resist enthusiasm for global movements, speaks of the MOOC as a revolution. Friedman suggests how a MOOC-driven education system could potentially change foreign aid given its promise to do good things. Anant Agarwal, the former director of M.I.T.’s artificial intelligence lab, is now president of edX, a nonprofit MOOC that M.I.T. and Harvard are jointly building. Agarwal told me that since May, some 155,000 students from around the world have taken edX’s first course: an M.I.T. intro class on circuits. “That is greater than the total number of M.I.T. alumni in its 150-year history,” he said. Yes, only a small percentage complete all the work, and even they still tend to be from the middle and upper classes of their societies, but I am convinced that within five years these platforms will reach a much broader demographic. Imagine how this might change U.S. foreign aid. For relatively little money, the U.S. could rent space in an Egyptian village, install two dozen computers and high-speed satellite Internet access, hire a local teacher as a facilitator, and invite in any Egyptian who wanted to take online courses with the best professors in the world, subtitled in Arabic. For Friedman and many of those writing on MOOCs, the potential for this new format to bring the world’s best higher education to anyone, anywhere, in any country is enormous. It is an example of taking an innovation to scale on perhaps the most extreme. With the click of a mouse the entire world can learn together easily. Except, it is a lie. Writing as a guest on the Worldwise blog as part of the Chronicle of Higher Education, professor of writing and rhetoric Ghanashyam Sharma puts truth to the lie of the modern online education movement’s hype. In an article called A MOOC Delusion: Why Visions to Educate the World Are Absurd, Sharma illustrates the faulty thinking that underpins much of the MOOC enthusiasm for transforming global education. His critique is less about MOOC’s as an educational vehicle in itself, but the global, culture-free scale at which they seek to operate. There is a dire need for some healthy skepticism among educators about the idea that MOOCs are a wonderful means to go global in order to do good. For our desire to educate the whole world from the convenience of our laptops to be translated into any meaningful effect, we need more research about how students learn in massive open online platforms, and a better understanding of how students from different academic, cultural, social, and national backgrounds fare in such spaces. Drawing on his own personal experience with teaching in different contexts, beginning with Nepal and then moving to the University of Louisville and now SUNY Stony Brook, Sharma points to the subtleties in cultural learning styles that did not translate from space to space. He speaks of enormous challenges and, fortunately, the opportunity to meet these with resources to aid him in adapting his teaching from context to context. In doing so, he points to the myth that the global classroom will be filled with people all learning the same way, from a compatible perspective, and using the same language. Even simple differences in the way he presents as a teacher can change the manner in which students learn – and those differences are rooted in culture. Disciplinary background. Each discipline has communication ‘sub-cultures’ and traditions that differ. A student with a sociology background might be used to rhetoric while one from the basic sciences may be used to communicating through technical reports. Each discipline also uses language in different ways, with terms unique to that discipline. Cultural backgrounds. Students from around the world will present differently in the way they approach the material, the presentation of arguments, and the level of participation in class. Even within a narrow band of cultural contexts that present within my classroom (usually there is perhaps 10-20 per cent of students are international) I am always amazed at the nuances that play out in the classroom. Race, gender and language all add additional complex layers that would require volumes to unpack here. Personality and motivation. Students that are more reserved in class will experience each lesson differently than those who are outgoing. Personality and motivation change the type of discussions learners engage in and shape their interactions with other students. This is not to say that one personality style is better than the other, but whether you’re introverted or extraverted, confident, clear spoken or highly social shapes the classroom. Face-to-face encounters allows for some modulation of these effects to encourage participation with those of different needs. Literacy. Whether it prose, numeracy, or discipline-specific language use, the literacy of students is tested when they have to take in material — whether through lecture, small groups, video, audio or text — and convey arguments. These are constraints (and opportunities) in most modern universities, whether the course is delivered face-to-face or online. The amount of effort to engage a room full of eager learners is enormous if I attend to these various issues. As an educator, it is effort that I believe makes for a good experience for everyone and is a joyous part of the job. But I am speaking to a room of about 25 graduate students at one of the best universities in the world who are all present and sharing the same environmental context even if it is as a visiting student. What happens when we are teaching to a ‘room’ of 150,000 people from all over the world? I do believe that we can learn much from online courses and that much can be conveyed via the MOOC that brings content to the world in ways that are appropriate and useful for a general audience. I am not against the MOOC, but I do think we need to carefully consider what it means to take education to scale and ask some deeper questions about what the learning experience is intended to achieve. We need to design our educational experience using the same principles or design thinking we would apply to any other service of value. The lie is in believing true education of a global audience in the rich way that a university or college intends is not only possible, but appropriate. What is being lost in the effort to make a common experience among a global classroom? Are we just sending out information or are we creating a learning environment? To what degree does the MOOC serve this purpose well. That is what a designer might start with as they move to asking how might we bring learning from one context to another. Ghanashyam Sharma points to the folly in those who think the jump from culture to culture can be easily made when teaching the world at one time. The MOOC offers enormous potential to re-shape the way people learn and promoting access to content and expertise that many in this world could have only dreamed of years ago. But the naivete that such learning can be done in an monocultural way without losing something special about the context in which people learn and use what they learn might lead to some expensive lessons. Sharma is right to ask for more research. Thomas Friedman is right to inspire us to think of creative ways to bring the wealth of the west’s educational treasures to the globe. The key is to figure out what parts of this global vision are real or possible, which are illusions, and which are delusions. 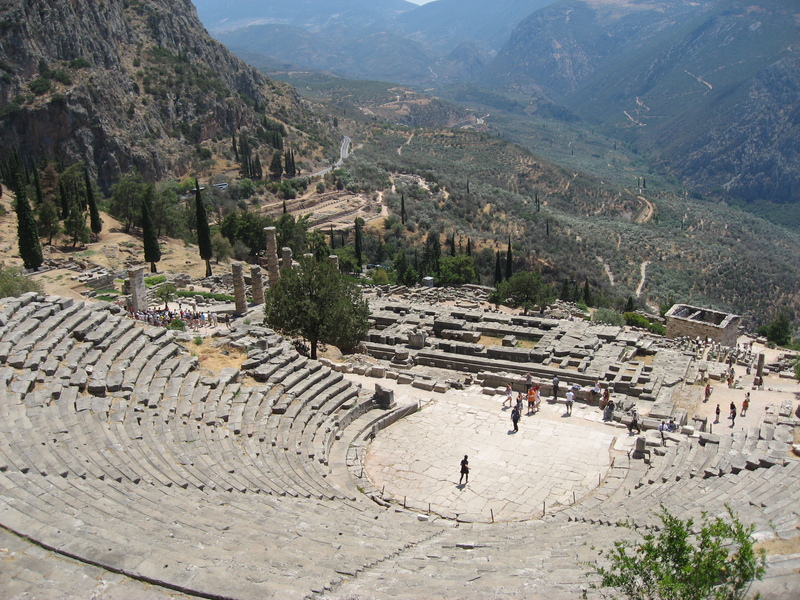 Unlike the auditorium at the Temple of Apollo at Delphi (pictured above) the audience for what we teach now are not from one place, time and shared cultural perspective; they represent the world. Without an understanding of what scale means in education we might be producing more ignorance than knowledge. A nice summation of what Design Thinking is and how its been applied elsewhere with an eye towards education. This is shared from the User Generated Education blog. Design Thinking is a great skill for students to acquire as part of their education. But it is one process like the problem-solving model or the scientific method. As a step-by-step process, it becomes type of box. Sometimes we need to go beyond that box; step outside of the box. This post provides an overview of design thinking, the problems with design thinking, and suggestions to hacking the world to go beyond design thinking. It’s fair to imagine that one of the 2013 ‘words of the year‘ will be MOOC (which is not really a word, but an acronym that stands for Massive Open Online Course). It seems that everywhere you look in the higher education and professional development space we are seeing MOOC’s talked about and debated. The advent of massively open online classes (MOOCs) is the single most important technological development of the millennium so far. I say this for two main reasons. First, for the enormously transformative impact MOOCs can have on literally billions of people in the world. Second, for the equally disruptive effect MOOCs will inevitably have on the global education industry. One of the panelists was Stanford professor Daphne Coller, the co-founder of Coursera, one of the largest MOOC providers offering more than 200 courses to millions of students worldwide. Coller has convinced top faculty at leading universities to provide high quality digital courses through Coursera for free and the result has surprised her. We’re at 2.4 million students now. The biggest lesson I’ve learned on this is I underestimated the amount of impact this would have around the world. I really didn’t envision this scale and this impact this quickly. You have to ask yourself, ‘What is the nature of education as a good?’ Ideally you want it to be learning. But it also functions as insurance. Parents will pay a lot of money for insurance against cracks in our society. Education as insurance has something to be said because it connects to the economy. You know computer science, you can get a job. But education also functions as a tournament. You do well if you go to a top school but for everyone else the diploma is a dunce hat in disguise. People need to understand what they’re trying to do? Is it insurance? A tournament? Learning? Among Thiel’s biggest concerns is with the current educational system’s ability to support the kind of innovative thinking needed to make technological and scientific breakthroughs. So steadfast is he in the belief that some of the best minds are rotting in traditional classrooms that he founded the Thiel Fellowship, a scholarship fund to support promising young entrepreneurs in dropping out of school to pursue their ambitions of making social impact. Thiel is disrupting education by taking learning away from the educational institutions charged with providing it. MOOC providers are seeking to develop a business model that puts them in the drivers seat of education and learning, drawing potential revenues away from traditional educational institutions. This will no doubt add to the pressures that universities and colleges are already facing as they rationalize ever more of what they do. Education For All, Learning For Whom? Free online learning of the calibre provided by Stanford University, Caltech, Harvard University, University of Toronto, MIT, and the Santa Fe Institute for anyone, anywhere sounds like a dream come true. In some ways it is. In others, it’s an illusion. This comes back to the metrics we use in evaluating the impact of education and asking what its point is in the first place. What do we mean by learning and are we serious about it? It’s been suggested that less than 10 per cent of those enrolled in a MOOC complete it. And of this 10 per cent, it isn’t clear what they learn, how well they learn it, and what kind of application (if any) that content is made to issues away from the course. Online courses with video tutorials, self-organized learning and largely uni-directional teaching bring together the best of former teaching methods like instructional TV, self-help, and classroom lectures. There does not appear to be a difference in achievement between distance and traditional learners. Of the ten instructional features that were analyzed, only three had an impact on student achievement. These three features were type of interaction available during a broadcast, type of course, and type of remote site. There was an insufficient number of studies to ascertain whether or not the education level of the distance learners effected their achievement in the course (Machtmes & Asher, 2000). While this review was done before widespread Internet use, the methods included reflected the same list above with one- or two-way audio and video. The studies were also done on programs that were designed for credit, not voluntary non-credit courses. Research on motivation will show that optional programs are far less likely to engender behavioural shifts than those that are mandated. So who then is benefitting from MOOC’s? We don’t yet know, but it is likely those with time to attend to the content, high levels of intrinsic motivation (< PDF), the technological tools to succeed, and the environment that is ready to support integration of content into practice. That’s a tall order. We are in the early days of MOOC’s and its too soon to tell how successful they will be. However, theoretically there is relatively little reason to expect that they will produce the kind of results worthy of hyperbole — at east not with those already accustomed to alternatives. To offer a MOOC from a world-class university to a learner somewhere in the world where education is but a distant dream achieves a great deal. But to transfer MOOC’s to replace more interactive and engaging methods — usually face-to-face — and expect great learning is a bit implausible. Yet, with what we are offering now to students in the form of large classes, disconnected curricula, and didactic instruction MOOC’s offer an attractive option. What it loses is the experience of learning that is not packaged in a class. This means a change to campus life, the informal and serendipitous learning that comes from being in the same physical space interacting with each other, and may seriously limit the use of thinking and creative tools that design thinking and applied creativity demand. (for a detailed look at MOOC’s and the modern university check out Nathan Harden’s essay in the American Interest). There is much ado about MOOC’s, but is this a Shakespearian tragedy in the making for learners? Photo credit: iStockPhoto used under license. What goes on the pedestal of learning? What is quality when we speak of learning? In this third post in series on education and evaluation metrics the issue of quality is within graduate and professional education is explored with more questions than answers about the very nature of learning itself. But what does learning really mean and do we set the system up to adequately assess whether people do it or not and whether that has any positive impact on what they do in their practice. What do you mean when you say learning? The late psychologist Seymour Sarason asked the above question with the aim of provoking discussion and reflection on the nature and possible outcomes of educational reform. Far from being glib, Sarason felt this question exposed the slippery nature of the concept of learning as used in the context of educational programming and policy. It’s a worthwhile question when considering the value of university and professional education programming. What do we mean when we say learners are learning? The answer to this question exposes the assumptions behind the efforts to provide quality educational experiences to those we call learners. 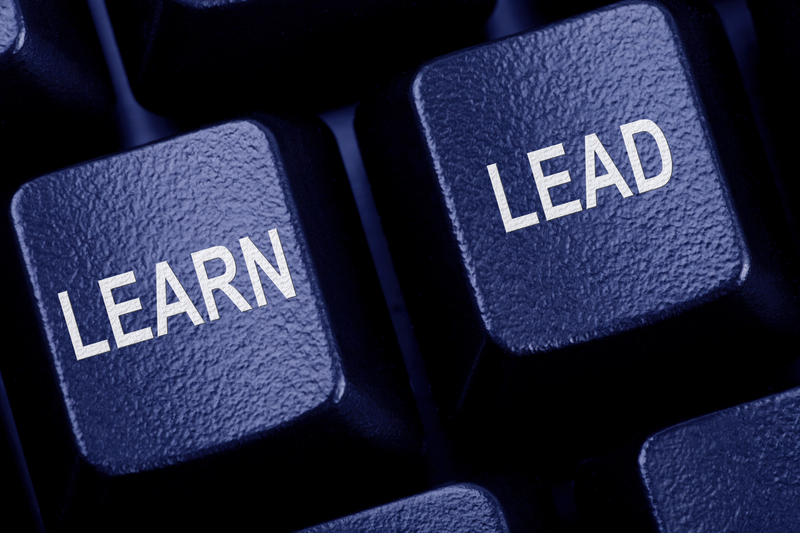 To be a learner one must learn…something. the acquisition of knowledge or skills through experience, practice, or study, or by being taught: these children experienced difficulties in learning | [ as modifier ] : an important learning process. • knowledge acquired in this way: I liked to parade my learning in front of my sisters. ORIGIN Old English leornung (see learn,-ing1) . This might sufficiently answer Dr Sarason except there is no sense of what the content is or whether that content is appropriate, sufficient, timely or well-supported with evidence (research or practice-based); the quality of learning. Knowledge translation professionals know that learning through evidence is not achieved through a one-size-fits-all approach and that the match between what professionals need and what is available is rarely clean and simple (if it was, there would be little need for KT). The very premise of knowledge translation is that content itself is not enough and that sometimes it requires another process to help people learn from it. This content is also about what Larry Green argues: practice-based evidence is needed to get better evidence-based practice. How do we know when learning is the answer (and what are the questions)? If our metric of success in education is that those who engage in educational programming learn, how do we know whether what they have learned is of good quality? How do we know what is learned is sufficient or appropriately timed? Who determines what is appropriate and how is that tested? These are all questions pertaining to learning and the answers to them depend greatly on context. Yet, if context matters then the next question might be: what is the scope of this context and how are its parameters set? Some might choose academic discipline as the boundary condition. To take learning itself as an example, how might we know if learning is a psychology problem or a sociology problem (or something else)? 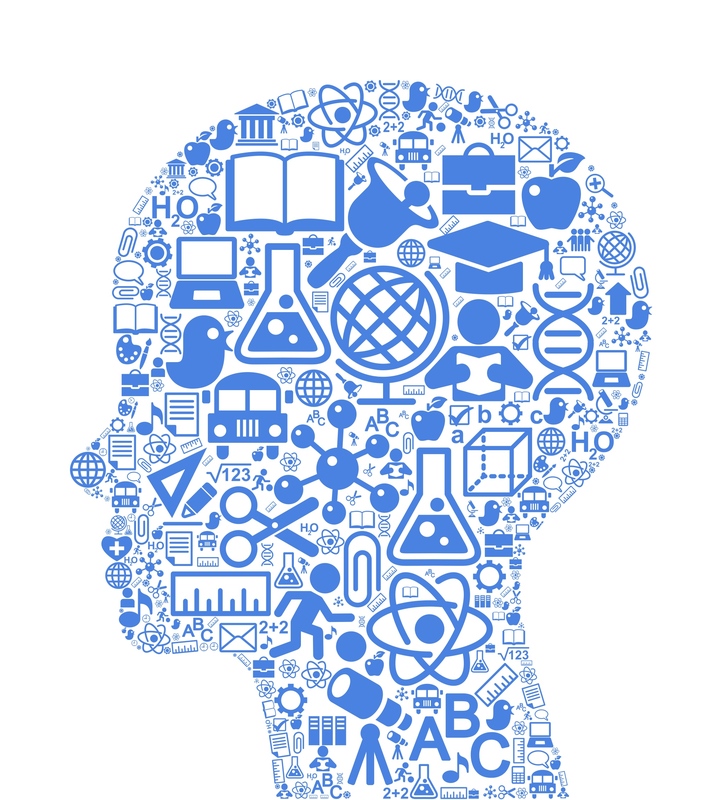 If it is a problem for the field of psychology, when does it become educational psychology, cognitive psychology, community psychology or one of the other subdisciplines looking at the brain, behaviour, or social organization? Successful learning through all of these lenses means something very different across conditions. Did it take into account the learning context of delivery, reception, use, and possible ways to scaffold knowledge to other things? Did your learner evaluation form ask how you intended to use the material taught? Did you have an answer for that and might that answer change over time? Did it ask if your experience of the learning event matched what the teachers and organized expected you to gain and did you know what that really was? Did you know at the time of completing the evaluation whether what you were exposed to was relevant to the problems you needed to solve or would need to solve in the future? Did you get asked if you were interested in the material presented and did that even matter? Was there an assumption that the material you were exposed to could only be thought of in one way and did you know what that way was prior to the experience? If you didn’t think of the material in the way that the instructors intended did you just prove that the first of these two questions is problematic? Years of work in post-secondary teaching and continuing professional education suggests to me that your answer to these questions was most likely “no”, except the very last one. These many questions are not posed to antagonize educators (or “learners”, too) for there are no single or right answers to any of them. Rather, these are intended to extend Seymour Sarason’s question to the present day and put in the context of graduate and professional education at a time when both areas are being rethought and rationalized. A problem with the way much of our graduate and professional education is set up is that it presumes to have the answers to what learning is and seeks to deliver the content that fills a gap in knowledge within a very narrow interpretation. This is based on an assumption that what was relevant in the past is both still appropriate now and will be in the future unless we are speaking of a history lesson. However, innovation and discovery — and indeed learning itself — is based on failure, discomfort and not knowing the answers as much as building on what has come before us. 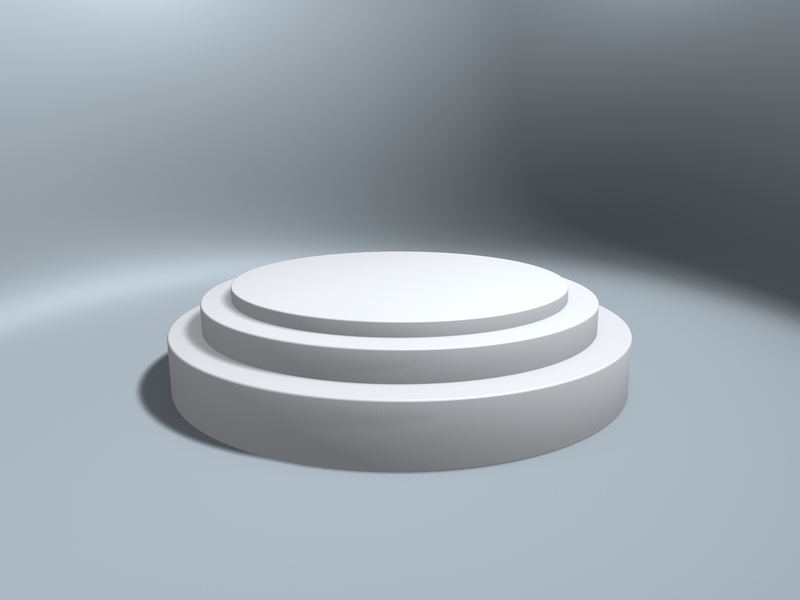 There is no doubt that a certain base level of knowledge is required to do most professional and scientific work and that building a core is important, but it is far from sufficient. The above quote comes from education advocate Sir Ken Robinson in a humorous and poignant TED talk delivered in 2006 and then built on further in a second talk in 2010. Robinson lays bare the assumptions behind much of our educational system and how it is structured. He also exposes the problem we face in advancing innovation (my choice of term) because we have designed a system that actively seeks to discourage wide swaths of learning that could support it, particularly with the arts. Robinson points to the conditions of interdisciplinary learning and creativity that emerge when we free ourselves of the factory model of learning that much of our education is set up, “producing” educated people. If we are assessing learning and we go outside of our traditional disciplines how can we assess whether what we teach is “learned” if we have no standard to compare it to? Therein lies the rub with the current models and metrics. If we are to innovate and create the evidence to support it we need to be wrong. That means creating educational experiences that allow students to be wrong and have that be right. If that is the case, then it means building an education system that draws on the past, but also creates possibilities for new knowledge and learning anchored in experimentation and transcends disciplines when necessary. It also means asking questions about what it means to learn and what quality means in the context of this experimental learning process. If education is to transform itself and base that transformation on any form of evidence then getting the right metrics to evaluate these changes is imperative and quality of education might just need to be one of them. Higher education is asking itself some big questions and making substantive changes to the way it sees itself and produces value for society. Education is increasingly being rationalized, which calls into question the metrics that are being used to judge how resources should be allocated. In a previous post, I looked at the jobs metric. Now, it’s time to look at the knowledge metric. Education writer and teacher Will Richardson‘s TED Book Why School is a provocative read for those connected to teaching or just interested in schooling. While it focuses largely on grade school, the issues are the same for universities and colleges particularly as the primary and secondary students of today are tomorrow’s graduate and professional learners. Richardson questions the role of the school as institution in its current form suggesting that if the status quo — one characterized an information delivery warehouse — is maintained there is little need for schools to exist at all. Yet, if the education within schools is focused on asking better questions and learning when to apply knowledge, not just what knowledge to apply, there is hope. The current trend in school reform is towards Common Core Standards, which emphasizes specific forms of knowledge, ‘facts’ and asks that students be able to recall such content when required. Under this model, the role of the teacher is one of content manager and facilitator rather than guide or mentor and students are prepped for the tests of their knowledge (memory) rather than be asked to demonstrate its application to anything outside of the test. It is this model that many proponents of online education embrace, because the Internet is a fabulous content delivery system and education can be literally programmed and delivered to students directly without the ‘noise’ that teachers introduce to the signal. Under this model, educational content can be delivered cheaply and widely to support uniform intended effects among learners. “In this version of reform, schools and classrooms are seen as nodes in a much larger learning network that expands far beyond local walls. Students are encouraged to connect with others, and to collaborate and create with them on a global scale. It’s not “do your own work,” so much as “do work with others, and make it work that matters.” To paraphrase Tony Wagner, assessments focus less on what students know, and more on what they can do with what they know. And, as Dewey espoused, school is “real life,” not simply a place to take courses, earn grades, amass credits, and compete against others for recognition. There lies the tension. The knowledge metric is flawed because it assumes that content solves problems. It also presumes that the curriculum teaches the right knowledge for the right problems and that those problems can be known in advance. Let’s look at these. One need only look to cigarette smoking as an example of how knowledge alone doesn’t always solve or prevent problems. One would be hard pressed to find anyone over the age of five who doesn’t know that sticking a lit tube of anything in their mouth and sucking on it isn’t at least somewhat unhealthy (and most know it is very unhealthy). An individual’s knowledge of smoking’s effects on physical health may not be complete, but it is often sufficient to inform the decision to quit or not start the unhealthy habit. And yet, citizens in highly educated countries like the United States, Canada and the U.K. smoke more than 1000 cigarettes per year per capita (and over 2700 per capita in places like Russia). These are not countries lacking in information on tobacco and health. Using students’ ability to recall content makes the presumption that what is contained in a curriculum is what they need to know when they leave their program of study (at least as a start). While it may be somewhat true for students in the humanities and languages, it becomes highly problematic for those in dynamic fields or emergent areas of practice, which is becoming more normal than rare. There is no doubt that a corpus of key concepts, skills and ‘facts’ is useful, but the manner in which this knowledge can and may be applied is changing dramatically. For example, social media has upended communications in ways that very few health professionals are trained for. Journalists are particularly aware of the role that Twitter and related tools have had on their profession. It also presumes that the content itself is relatively static. Certainly, curriculum renewal is something that most learning institutions engage in, but the primacy of content itself as the driver of education also assumes that the foundation for that knowledge is solid and can be applied today in the manner it was applied yesterday. In dynamic conditions, that isn’t often true. Further, the relevance of knowledge is framed by the problems to which that knowledge is applied. Genetic information, for example, can be incredibly useful when framed against tests that have high confidence, predictability and value to people, yet without such a context it is largely useless to those non-scientists who have it. Areas of social innovation — which are expanding dramatically in number and scope — illustrate the problem of changing context well. This is a field characterized by problems, problem solving and novelty (which is what innovation is all about). Standard approaches don’t apply easily or at all when we are faced with high levels of novelty. Thinking and re-thinking the problem frame, knowing what to find, where to find it, and the skills to integrate relevant knowledge together is something that is not captured in the knowledge metric. Yet, it is those skills that will lead innovation. Knowledge translation professionals know this and so do knowledge brokers. Are we designing our educational programming to advance on the kind of design issues of problem framing, finding and solving that our world is facing? Or are we simply taking content that can be obtained through books, the Internet and other materials, repackaging it and creating expensive warehouses of information that take learners out of the world and out of context in the process? I don’t suggest that universities and continuing education programs stop delivering content, but if knowledge is the metric by which they are judging their success then it behooves educational administrators and funders to justify why they can do it better than other tools. What made sense when content was a rare commodity makes little today when it is overflowing in abundance for little or no cost. Universities and post-graduate training programs have an opportunity to re-imagine education and have the tools to do it in a way that makes learning more powerful and relevant for the 21st century should they choose to change their metrics of success. How might we take the enormous talent trust that exists among university faculty (and their students) who co-locate (physically, virtually or in some combination) in a school and develop the skills to not only address problems of today, but prepare everyone for possible challenges in the future? How might we integrate what we know, identify the knowledge we need, and create systems to take advantage of the talent and creativity of individuals to make universities, colleges, and post-professional training venues for innovation and inspiration rather than just content delivery vehicles? What kind of metrics do we need to evaluate this kind of education should we choose to develop it? These are questions whose answers might yield more learning than those focused on what knowledge students have when they graduate. Post-secondary and continuing education is continuing to be rationalized in ways that are transforming the very foundation of the enterprise. Funding is a major driver of change in this field: how much is available, when it flows, where it comes from, what is funded, and who gets the funding are questions on the minds of those running the academy. At the centre of the focus of this funding issue is the job market. Training qualified professionals for the job market in various forms has been one of the roles a university has played for more than a century. Now that role has become central. Let’s consider what that means and what it could do in shaping the various possible futures of the university. This second in a series looking at the post-secondary and continuing education focuses on the metrics of jobs. The employability of graduates is now the holy grail of education industry statistics. Earlier this year I was sitting on the stage at an academic convocation with a senior colleague staring out at a sea of soon-to-be-graduates when he leaned over and asked the question quoted above. Staring at a sea of masters and doctoral graduates numbered in the hundreds and knowing that this ceremony was held twice per year, the question stuck and remains without an answer. Maybe there were enough jobs for that cohort, but this process gets repeated twice each year at universities around the world and each year that I’ve been a professor those numbers (of graduates) seem to go up. Some of our programs in the health sciences are admitting three times the number of students than they were just ten years ago. There is much demand for education (as judged by departmental applications), but are there jobs demanding this kind of education in its current form? Yes, the Baby Boom is moving into an age of retirement and increasing needs for health services, but do we need to graduate 80+ Physical or Occupational Therapists to meet this need this year? Do we need a few dozen more epidemiologists or health promotion specialists to add to the pool? How about psychologists or social workers: how many of those do we need? The answer from my colleagues in these fields is: We don’t know. Jobs are a red herring. It’s one thing to have a job, but is it the job that you trained for? (And is having that job even a reasonable goal?) Being employed is not the same as building a career. What if you were trained perfectly for a job that no longer existed? Imagine a Blacksmith in the 20th century or a Bloodletter. These questions are not asked, nor is much asked about quality of education relative to the pressures of recruitment, cost-cutting and educational rationalization. Most of us don’t know what quality education is in real terms because we are measuring it (if we are measuring anything at all besides jobs) by standards set for the jobs of the past, not the future (or even the present?). Jobs are living things and very few in 2013 will resemble what they did even 10 years ago. The citizens of the developing world are entering this rapidly changing job market ready for change (See also McKinsey Global Institute report on future of work in advanced economies) because they don’t have the old ways to rely on. They are primed for change and if professional education is to meet the needs of a changing world, it needs to change too. It means getting serious about learning. If education is rationalizing itself to focus more on jobs, then it also needs to get serious about clarifying what jobs mean, defining what ‘success’ looks like for a graduate, and whether those jobs are designed for where the proverbial puck is now or for where it is going. I’ve pointed out that learners have an uneasy relationship with learning principally because it means disrupting things. This is a topic I’ll be covering in greater depth in a future post, but if one considers how our social, economic, and environmental systems are changing it is not unreasonable to call this the age of disruption . Change in complex systems is often logarithmic, not linear. It may be massively punctuated like a Lévy Flight or it could be closer to a random walk. In environments with a change coefficient that is large the level of attention must be more fine-grained than 5-year reviews. It requires developmental evaluation methods and learning organizations, not just conventional approaches to generating and assessing feedback. It requires mindful attention and contemplative inquiry to guide a regular reflective practice if one is to pay attention to the subtleties in change that could have enormous impact. For example, if journalists and news media waited every five years to assess the state of their profession, they would have missed out on Twitter and come late to blogging, two of their (now) powerful sources of competition and tools of the trade. Some have waited, which is why they are no longer around. Metrics for journalism education today might consider the amount of exposure and proficiency in social media use, digital photography, use of handheld tools for communication, and real-time reporting skills. Metrics of the past might focus on newspapers and radio broadcasting. Which mindset, skillset and toolset would you rather be trained in today? 1. What is the state of your profession right now and are you training people for existing in this state? Are you preparing people for the next evolution? 2. Where is your field of practice going? What are the possible futures for your profession in the next 5, 10, and 20 years? Will it still exist? Are you a blacksmith looking for more horses in the automobile age or Steve Jobs waiting to attract people to a new graphical user interface? 3. Is your mindset, skillset or toolset in need of re-consideration? Does it still do the job you’ve hired it to do? 4. What do people need that your skills can help with? What unfilled needs and expectations are there in the world that your mindset, skillset and toolset could solve? 5. What would happen if your field of practice disappeared? How else could you apply what you know to making the contribution you wish to make and earn a living? What other skills, tools and ways of thinking would you need to adapt? Design thinking can greatly help shape the way that one conceives of a problem, works through possible options, and develops prototypes to address the needs of the present and the future. Foresight methods help lay additional context for design and systems thinking by providing ways to anticipate possible futures for any given field. Lastly, knowing what the state of things are now and how they got to where they are now can help determine the path dependencies that education may have fallen into. We can’t change what we don’t see and better foresight, hindsight and present sight is critical to better ensuring that education outcomes are not imagined, but based on something that can actually improve learning. Next to the church, the university may be the most enduring formal institution in our society. And like nearly every institution from banking to manufacturing to healthcare and even the church, the university is facing a major disruption from social and technological change. The church’s (simplified) purpose is to provide a place of worship, communion and education on matters of faith and spiritual guidance. The university is a place for preparing people to be better citizens, scientists or scholars, and professionals and to advance understanding of our world and universe. Just as many question how well the church is realizing its purpose, so too are many questioning the university and how it is faring in its mission and purpose. CENSEmaking returns to a discussion started last year with a requiem for the dream of a university no longer experienced by someone who aspired to serve within it. Following my advice to new scholars and attempts to peel back the curtain to show more about what university looks like for those outside it, it seems appropriate to revisit that discussion to explore the state of post-secondary education as another year passes. This is the first in a series of upcoming posts looking at the future(s) of learning and professional education. Midsize Canadian universities are starting a new kind of cost-cutting exercise as they face the prospect of prolonged austerity and sustained pressure to show their graduates are succeeding. Administrators have tended to slash budgets equally across the board, leaving it up to each dean and department to set targets inside their faculties. Now, Canadian schools are importing a movement from the United States in which economic hardship is viewed as an opportunity to refocus scarce dollars on faculties that deliver. “Instead of making decisions based on internal political factors or you-scratch-my-back-I’ll-scratch-yours, or whatever else has gone on in the past, it’s time for us to shift to a culture of evidence,” said Robert C. Dickeson, the U.S. consultant at the heart of the crusade against across-the-board cuts. The University of Guelph has gone furthest. Facing a $32-million shortfall over the next four years, Guelph’s leaders hired Dr. Dickeson for help after an invitation to a workshop he runs landed in provost Maureen Mancuso’s inbox. He was on hand at a Guelph University town-hall meeting in late November where president Alastair Summerlee laid out the challenge: rising costs, flat government funding and capped tuition, combined with a shortage of space to keep boosting enrolment. The plan is Darwinian. Each of the university’s nearly 600 programs and services, from undergraduate biology to the parking office, has to complete a “program information report” answering 10 criteria, to be reviewed and ranked by a task force of faculty, staff and students. I have been involved in academic governance and policy making for 20 years first as a student representative at the undergraduate and graduate level and later as a full-time faculty member. The timing of my post-secondary life coincided with the last major shift in educational funding and rationalization that began in the early 1990’s with the first introduction of student fees and the start of philanthropic named sponsorship in Canadian universities. Prior to this time, students tuition was all they paid to access services and get an eduction and buildings, faculties and facilities were named based on criteria that was not tied to specific donations. Despite all of this, quality was rarely a term used explicitly to shape strategy. I have never — not once — witnessed a major decision made on the basis of educational quality when juxtaposed against financial concerns. I’ve been a student, trainee or faculty member at five different universities and a visiting or guest lecturer or examiner at many more institutions worldwide and never have I seen quality of education trump fiscal or logistical issues on matters of great significance. Sure, there are small decisions to include particular content into a course or program or invite/disinvite a particular speaker based on perceptions of quality , but no program I’ve known chose, for example, to limit recruitment or enrolment because there were not enough resources to give a quality experience to students. So if universities are now being judged on quality, what does this mean in practice? Is quality about jobs? If so, then are they the jobs that students want, the ones they get (which may not be the same thing), the ones that students are trained for, or the ones that the market produces? Is quality about what gets taught, what gets learned, or what gets applied? If it is some combination, then in what measure? Is quality about what the market asks for or what the world’s citizens and its ecosystem (including plants, animals and oceans) demand? Is quality about training people for jobs and roles that have traditionally existed, exist now, or may emerge in the future? Is quality about the canon, questioning the canon, or re-discovering or creating new canons? Or all of them? These are some of the questions worth asking if we wish to understand what the futures of the university might be and whether any of those possible futures mean not existing at all. Stay tuned. Photo University by martybell from Deviant Art.